Scopa is the newest Italian restaurant in the Chelsea neighborhood offering brunch, lunch, and dinner. Chelsea is a popular neighborhood for new restaurants, and to stand out, you have to open and draw crowds immediately to generate the buzz. Scopa in getting you in the door with killer happy hour specials, a solid lunch menu, delicious food, and a private dining room. Scopa’s Happy Hour runs Monday through Friday from 4 pm – 8 pm and has some pretty sweet deals that include $7 wine, $8 cocktails, $5 beer, and small plates. 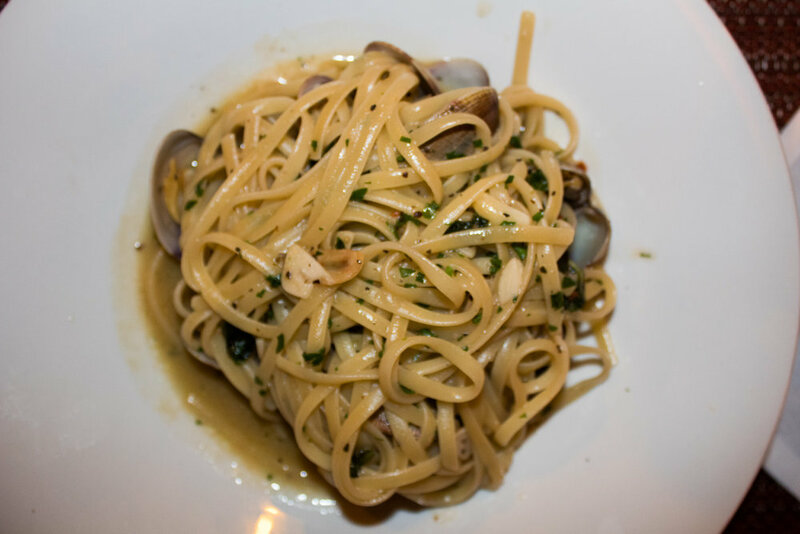 If you happen to make it to Scopa before happy hour, their lunch includes $12 plates of pasta such as linguine with claims and their fettuccine that includes truffles. Who can say no to truffles? They also sell their house wine during lunch by the bottle for $18, and I must say their pinot grigio is rather smooth. For those looking for the meal of weekend warriors or better known as brunch Scopa offers some classics such as steak and eggs and frittatas. Although there is no bottomless, they do have some great prices on brunch cocktails such as $5 mimosas and bellinis. With the holidays approaching the private space at Scopa is get for company events or an intimate gathering with family or friends. If you are looking to lock in some Thanksgiving dinner plan, they are offering a 3-course prix-fixe meal for only $39 (click here to make reservations). Check out Scopa and prepare your taste-buds for a wild ride!